Love & Hip Hop’s Mimi Faust Pregnant? 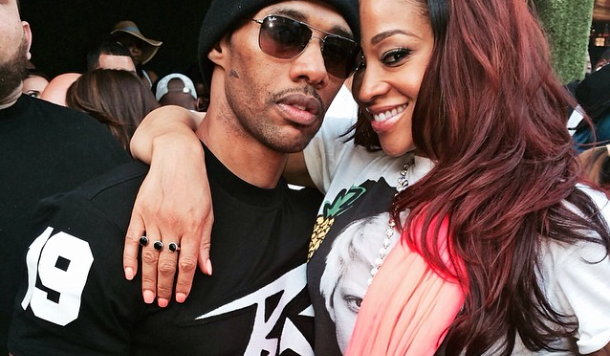 Is Love & Hip Hop’s Mimi Faust pregnant with Nikko London’s baby? May 6, 2014: MediaTakeOut.com has some GREAT news to report . . . not only will Mii and Nikko get MARRIED this season on Love and Hip Hop . . . but MiMi is PREGNANT!! You heard it here first, MediaTakeOut.com can OFFICIALLY CONFIRM that when Nikko was in that SHOWER DOING WORK . . . the couple CONCEIVED THEIR BABY. We’re not sure how accurate this report is, but after all that sexing in the shower, we wouldn’t be surprised. This entry was posted in Reality TV and tagged Atlanta, baby momma, Love & Hip-Hop, Mimi Faust, Nikko London, pregnant, Reality TV, sextape, Strevie J. Bookmark the permalink.